In that category and currently under construction are the One Park Residences and Five One Five Condominiums, both scheduled for completion in 2018. Patrick Mc Gowan recounted his journey as a college student laboring at construction job sites to successfully founding his firm in the competitive New York City construction industry as a guest speaker for the NYU School of Continuing and Professional Studies Real Estate Institute course. Contract Magazine profiles this transformative renovation project on which Mc Gowan served as General Contractor for the corporate headquarters of Empire Stores / West Elm. In rebuilding the landmark Empire Stores as a commercial complex anchored by West Elm, the developers are relying on a deployable flood barrier: a 7-foot wall that can be erected in hours. 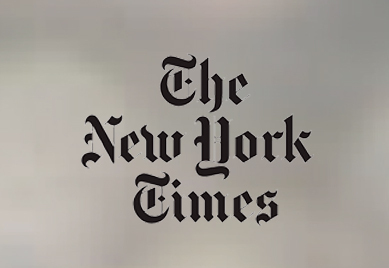 The Journal reports on the completion of landmarked Nightingale-Bamford School, located in the Carnegie Hill Historic District on the Upper East Side of Manhattan. 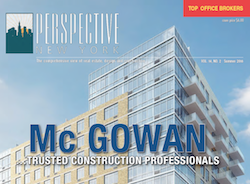 An in-depth profile of Mc Gowan’s fifteen years as a full-service construction firm, detailing the founding of Patrick Mc Gowan’s eponymous company in 2001 and evolution into one of the preeminent service providers in the New York Metropolitan area. Architect Magazine, the journal of the American Institute of Architects, recognizes Mc Gowan and the entire team behind Williamsburg Terrace. News of the completion of complex conversion and renovation project River & Warren, a collection of two- to five-bedroom luxury condominium residences located at 212 Warren Street, connecting the Manhattan neighborhoods of Tribeca and Battery Park City. Northeast Real Estate Business Magazine covers Mc Gowan’s successful completion of Five Mile Capital and Centurion Group’s luxury residential development River & Warren in Lower Manhattan.